Take your pick of luxurious accommodation at Veligandu, from our 54 Jacuzzi Water Villas, 10 Water Villas, 16 Jacuzzi Beach Villas and 11 Beach Villas. Retreat into your own private space in the Maldives. 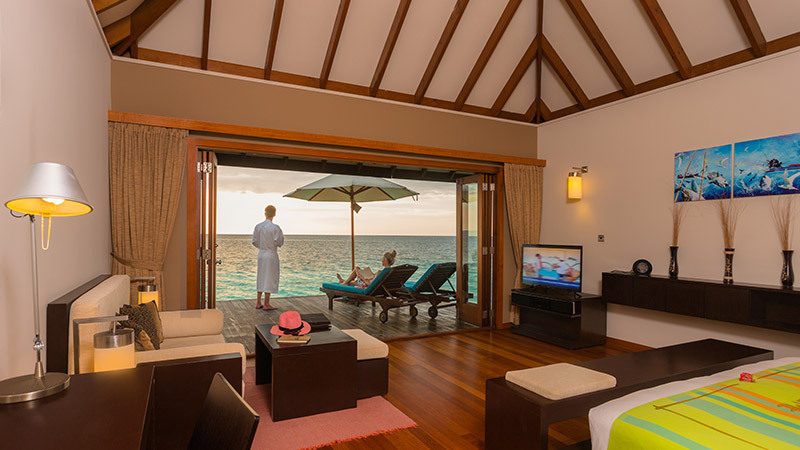 Each villa is exquisitely furnished to reflect the authentic beach chic lifestyle of the Maldives. These villas are designed to incite a homely atmosphere and are thoughtfully equipped with premium room amenities, including a king sized bed, a private porch with furniture, air-conditioning, minibar, complimentary tea/coffee facilities, flat screen cable TV, personal safe and an open-air bathroom with rain shower.